Bárbara holds a Ph.D. in Pharmaceutical Science from the University of Santiago de Compostela (2014). She was awarded her Master´s Degree in Drug Research & Development (2010) and her Bachelor´s Degree in Pharmacy (2009) in the same university. 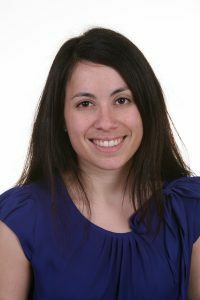 In 2015, she joined the Molecular & Cellular Imaging Laboratory of Dr Erik Shapiro at Michigan State University as a Postdoctoral Research Associate. Her primary focus was the development of new cancer vaccine nanocarriers as well as imaging agents for immune cell tracking by MRI. At the end of 2017, she returned to Spain to work as a nanotechnology scientist in the Pharmaceutical Company Reig Jofre. Over these years, she specialized in the areas of nanotechnology, polymer chemistry, drug delivery and cancer immunology. Bárbara has published 11 papers in peer reviewed journals, a book chapter and more than 15 abstracts in national and international conferences. Her main area of interest is the design and application of new biomaterials for cancer research. The tumor microenvironment plays an essential role in tumor generation, progression and metastasis. It is formed by a three-dimensional extracellular matrix (ECM), cells and non-cellular components. The ECM is a complex nanofibrous network which is involved in several cellular functions. The physico-chemical characteristics of the ECM can be altered in cancer, influencing cell behavior. The main scientific aims of this project are obtaining cancer cell-derived extracellular matrices (CDM) and evaluate them as 3D cancer model for cancer therapeutics screening and to decipher the properties of the matrix that lead to cancer formation and metastasis.